This trendy wrap is perfect for lounging at home yet stylish enough to be worn when you go out! 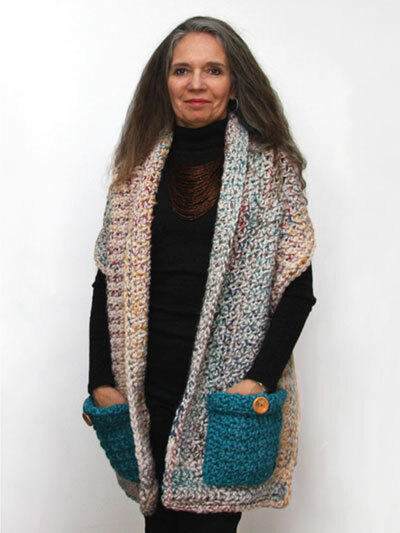 Design is made using 2 colors of super bulky-weight yarn and is worked lengthwise from end to end. 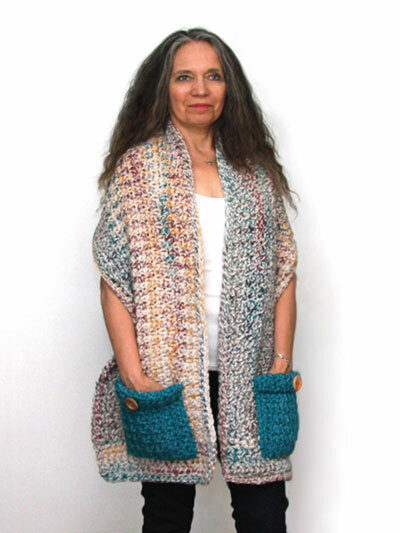 The large pockets are great for warming your hands or holding small objects. Size: 14"W x 70"L.